The earlier you start saving for retirement, the more money you'll have. 3. How Much Money Do You Lose if You Withdraw From Your IRA? 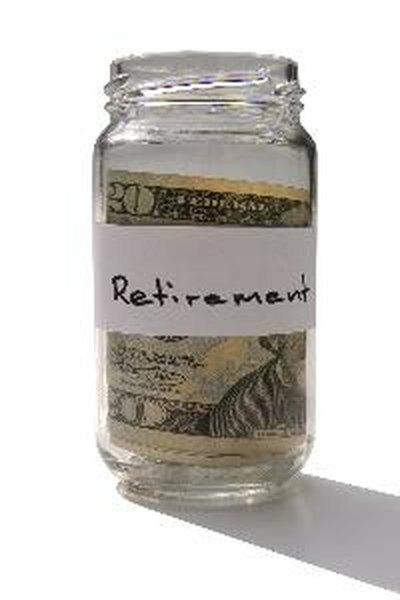 An individual retirement account is a great place to set aside money for your retirement. You get some excellent tax benefits, such as tax-deferred growth, and you have a wide range of investment options. Different types of IRAs have specific rules about when you must begin withdrawing funds from your IRA. For example, if you have a traditional IRA you must start taking minimum withdrawals from your account in the year in which you turn age 70 1/2. Traditional IRAs are funded with pre-tax dollars, so you get to reduce your taxable income by the amount of your contribution, up to the maximum allowed by law, which was $5,000 for the 2012 tax year. If you are between ages 50 and 70 1/2, you can contribute $6,000. All of the investments and the income they earn in your traditional IRA are tax deferred, which helps your retirement account to grow even faster. You won't owe taxes on the funds in your traditional IRA until you withdraw them. All of the money in your traditional IRA belongs to you. You can withdraw any part or all of your funds from your traditional IRA at any time for any reason, but there will be tax considerations. All withdrawals from your traditional IRA are taxed as ordinary income in the year you take the withdrawal. If you withdraw funds before you reach age 59 1/2 the Internal Revenue Service assesses an additional 10 percent tax penalty. You must begin taking minimum withdrawals from your traditional IRA in the year you turn age 70 1/2. The amount you withdraw at that time is taxed as ordinary income, but the funds that remain in your IRA continue to grow tax deferred regardless of your age. Roth IRAs are funded with after-tax dollars, which means you've already paid taxes on the money you contribute to your Roth IRA. You can't take a tax deduction for contributions to a Roth IRA, but as with a traditional IRA, all of the investments in your Roth IRA grow tax deferred. Since you have already paid taxes on your contributions, you can withdraw them at any time for any reason without incurring a tax obligation, regardless of your age. There may be tax implications for withdrawing the earnings portion of your Roth IRA. Qualified withdrawals from your Roth IRA are completely free from federal income taxes and penalties. You must have held the Roth IRA for at least five years and are at least age 59 1/2. Any Roth withdrawal taken before age 59 1/2 is a nonqualified withdrawal that may be subject to federal income tax and a 10-percent penalty tax. You are not required to start taking minimum withdrawals from your Roth IRA at age 70 1/2, or at any age. In fact, since you are not required to withdraw money from your Roth IRA at all, you can leave the funds in your account to benefit your heirs.